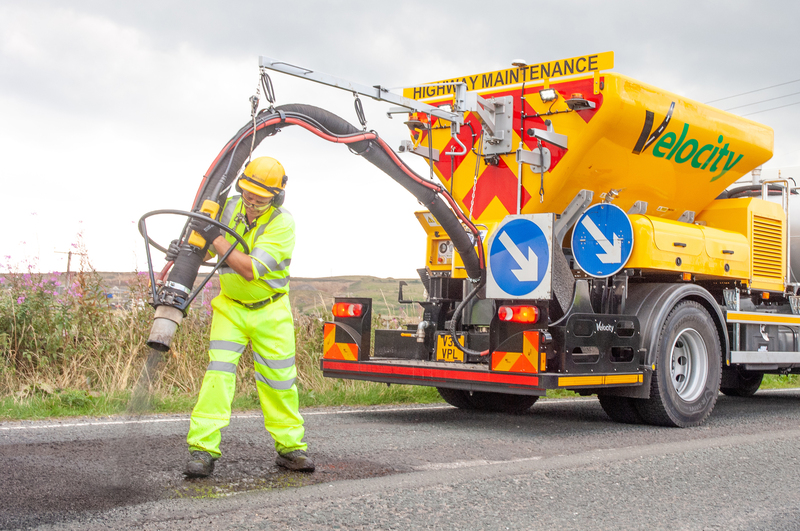 Velocity pioneered spray-injection patching to carry out permanent repairs at a fraction of the cost of ‘excavate and fill’ repairs. Cold applied, emulsion coated aggregate is sprayed into defects at high velocity, compacting from the bottom-up and creating a perfect seal with the existing surface. Each repair takes just two minutes, is ready for traffic immediately and costs as little as £12 per repair compared to a national average of £52. 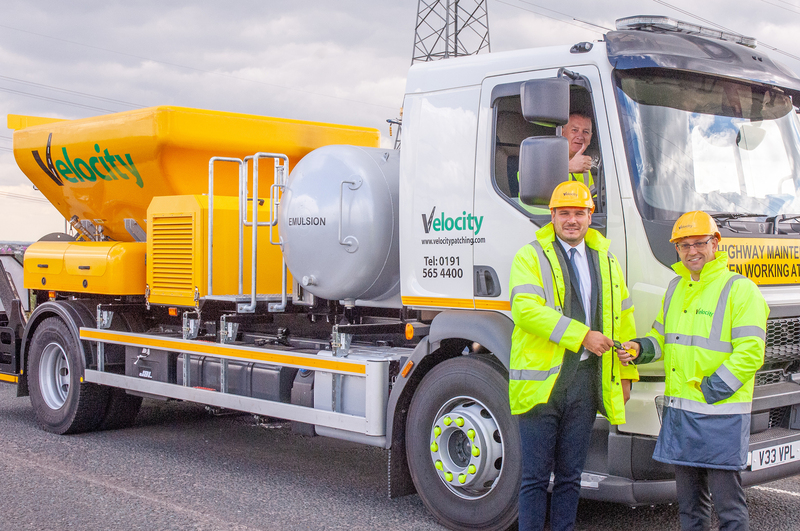 Designed and manufactured by Velocity in Sunderland, the two new machines join a fleet of twenty operating throughout the UK. 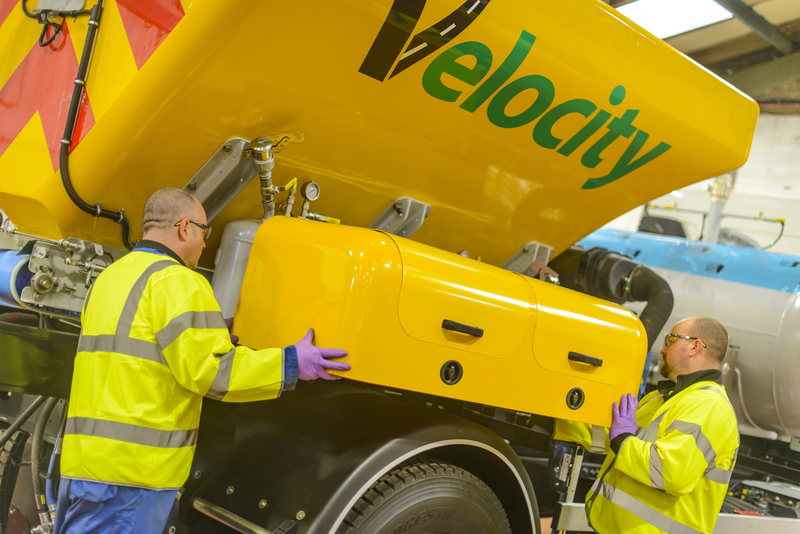 “The increased demand has been driven partly by the cold weather conditions in the winter, but more so by confidence in the durability and effectiveness of the product.Customers now use Velocity Patching as an integrated part of their asset management strategy, for clearing the backlog of repairs and as a preventative approach. 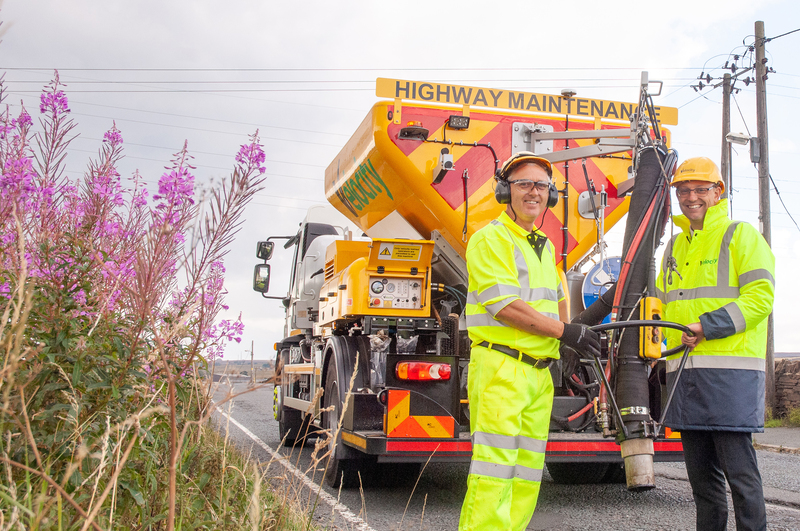 That approach works, with one local authority reporting that inspectors are finding that 50% fewer defects are developing on roads that have been treated with preventative repairs by Velocity.” he said. 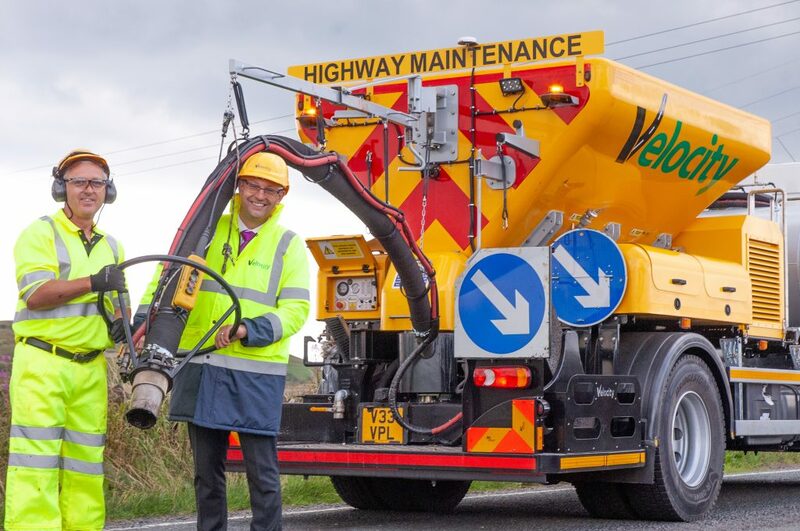 This year, the company has added five machines to their fleet and trained new operators with an NVQ in Velocity Patching to carry out repairs throughout the UK. The first of the new machines left Sunderland for West Yorkshire for a programme of repairs in Bradford.